Hong Kong luxury shopping is definitely for you if, you are the kind of person that only puts on clothes and shoes of particular brands. You can shop for all the excellent brands from all over the world in one city. The picture on the top of this page shows the bridge connecting the Landmark on the right hand side and the Prince's Building on the left. 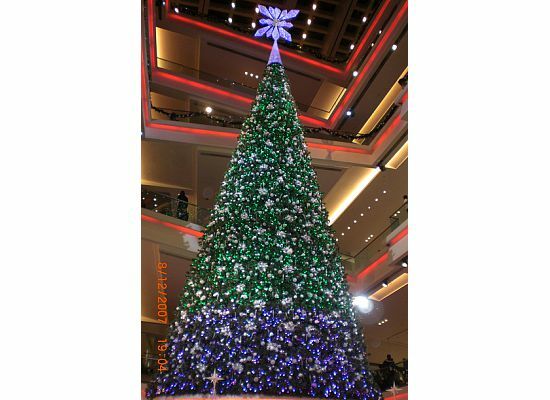 A Christmas tree in the Festival Walk. It was 7-storie high. 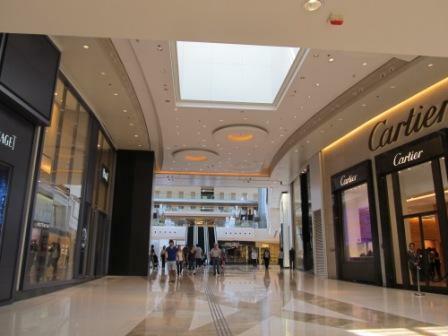 Just by looking at the picture, it gives you some ideas of how tall and big the mall is. 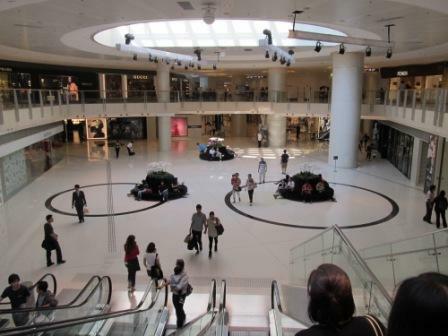 6) Hysan Place - Just like going to the Lee's Garden, but less walk as soon as you get out of the MTR. 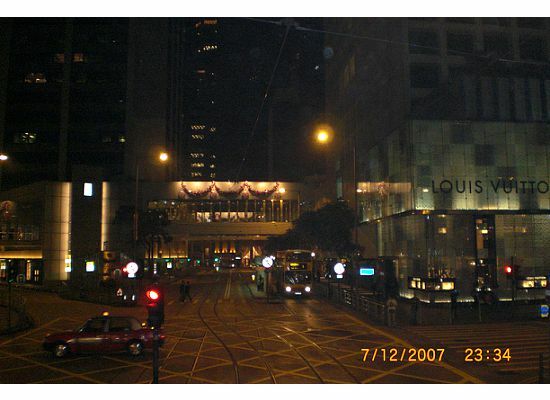 This mall is relatively new in the Causeway Bay area. 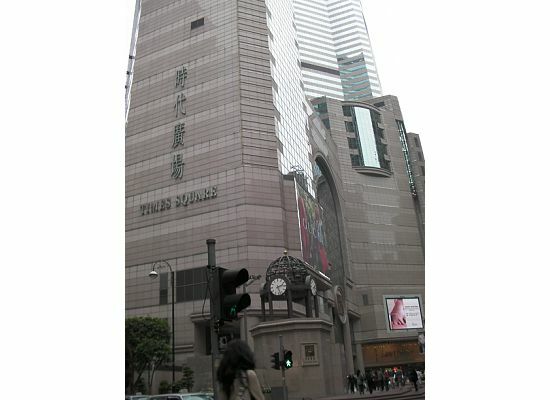 It has the largest book store in Hong Kong. Stores are gear to customers between teenagers and mid-30 people. The brands and set up made everything in this mall looks like full of luxury brand of merchandizes. But it is not. What I foresee is that these stores are going to close down eventually. They will be replaced by some chain stores. Maybe by then, it will be a real Hong Kong luxury shopping mall. We will wait and see. Direction: MTR Causeway Bay Station Exit F turn right and go straight forward for a few feet. The highest building in the picture in our logo is the Two IFC Tower. 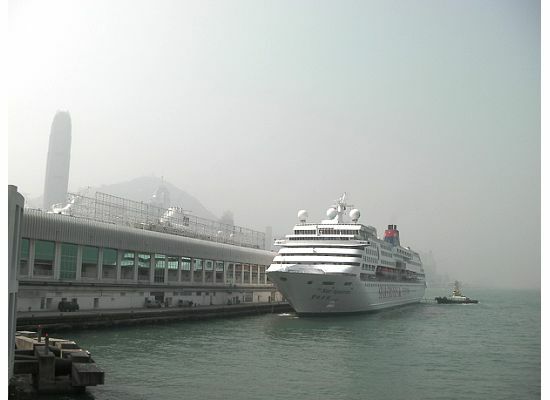 10) The Elements - locates in the tallest building, ICC Tower, in Hong Kong. The zoning of the mall based on the concept of Chinese 5 elements, i.e. gold, wood, water, fire and earth, used in the Chinese "Fung Shui" philosophy. That's why it is called the Element. Just look at the way how they divide up the sections of the mall, it picked your interest already, huh? Side note....while I was there in Oct 2012, the roads around the ICC Tower were still under construction. I was lucky enough to take a few pictures of the mall. Because a security guard approached me and told me that photography is prohibited inside the mall. I don't know why, especially this was the first time I had ever heard of that. Look at all these luxury stores in the Elements. 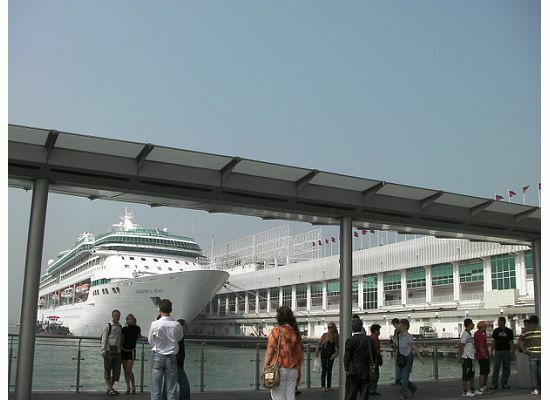 Can you picture yourself doing Hong Kong luxury shopping here? ALERT! Recently, there is a small group of taxi drivers. Their target is the tourists with full handful of shopping bags coming out of these Hong Kong luxury shopping malls. They pick up their passengers and ask them to put all their shopping bags into the trunk. In the midway towards the final destination, they kick the passengers out of the taxi because it is time for changing shift. They drive away together with all the merchandises in the trunks. Victims lost thousands of dollars worth of merchandises, not to mention their whole trip is ruined due to this criminal act. For more details of how to protect yourself and your properties, check out Hong Kong Alert and Hong Kong Taxi.